Have you ever actually looked at your pay stub? You know, that thing that says how much you worked, reports the taxes that were withheld from you, and how much money you made. Most people look at the money part and then shove it in a box somewhere never to be seen until tax season. But it's actually pretty important for your finances to know what the hell all of the stuff on your paycheck means. 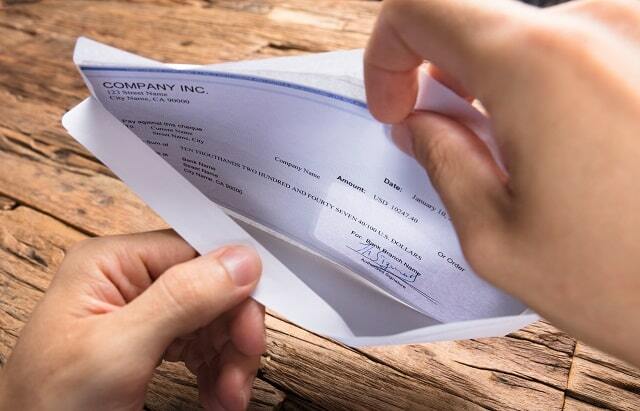 In this article, we'll help you with understanding your paycheck; the anatomy of the paycheck, what is being withheld from you, and how they come up with those numbers. Let's get started. Just so you know, this may hurt a little. You're going to want to crumple up your paycheck and throw it against a wall when you see your gross earnings vs. your net earnings, but avoid the urge (or go paperless through this website). Once you've confirmed all of your personal details and your employer's information, your eyes will immediately go to the "regular pay" section of the check. This isn't what you take home, but what you've earned before your deductions. It'll show the amount that you've earned in this pay period and what you've earned to date in the month or year. The biggest thing to keep an eye on is the number of hours worked. If there are any discrepancies on your check, that's where it'll be. In the taxes section of the check, you'll see all of the deductions for the current pay period and also for the year to date. Listed here will be the federal tax, state tax, Medicare tax, and social security tax withholdings. The federal tax is what the government immediately takes off of your pay. The amount depends on how much you make and the information that you provided on your W-4 form with regards to your dependents', etc. Your state may not have a state tax, but if it does, it works in pretty much the same manner as the federal tax. The money is sent directly to the state office. If your state doesn't withhold, you simply won't see this. Every working American pays into the social security fund, which is a retirement fund. You pay 6.2% of your gross income and your employer matches it. Similarly, the Medicare fund requires that every American chip in 1.45% of their gross income to help with the medical and surgical costs of seniors and those with disabilities. Once again, the employer matches the 1.45%. Any other programs that you've signed up with through your employer will show up in the taxes section, like vacation pay, etc. Depending on whether or not you've signed up for medical or dental insurance, you'll see these deductions alongside any other programs that you've applied for through your employer. If you've signed up for a 401k plan, you'll see further deductions from your pay. This is your retirement fund and deductions of your own chosen percentage are automatically made and put in your 401k. Finally, after all those deductions is your net pay. This is what you actually take home from that pay period. It's what you use to budget for food, rent, car insurance, and all your other costs. Sadly, it's only a fraction of your gross pay. Even though understanding your paycheck can be painful, it's important to understand what all of the deductions are and where that money goes. The sooner you do, the better you'll feel about giving that money up. For more articles about marketing and money maximization, visit our page.